Site speed testing tools: I could go on and on about them. This is exactly why we wrote a guide about them—their uses, their drawbacks and what they mean. But for now, I'm going to cover the basics of how site speed and SEO are linked and why site speed reports should be taken with a grain of salt. Site speed is a ranking factor in Google's search algorithm. It may not be the #1 factor, but it's an important one. While the details of how Google determines the site speed of websites are not fully understood, it is known that the Google toolbar measures "onload time" or the time it takes for viewable resources—images, video, text, etc—and hidden resources—e.g. third-party analytics—to load. Eleven years ago, web surfers would patiently wait for eight seconds before navigating away from a loading page. By 2008, that time had dropped to three seconds. One out of three internet users will leave a site after experiencing a delay of one to five seconds. Almost half of all users will exit a site completely if they are experiencing loading issues or delays. Twenty-seven percent of web surfers will go to a competitor's site after experiencing delays at your site. Even a one-second delay can cost you page views, customer satisfaction, and conversions. Having poor code and a site that loads slowly will only lead to a downward spiral of issues: a high bounce rate will lower your page rank, which will in turn lower your traffic. In addition to that, as greater numbers of Americans use their smartphones to surf the web, it is even more imperative to have pages that load quickly on all devices. And Google's not the only one who cares about site speed. Users are easily frustrated by a site that loads too slowly and will leave your site if it feels too slow. 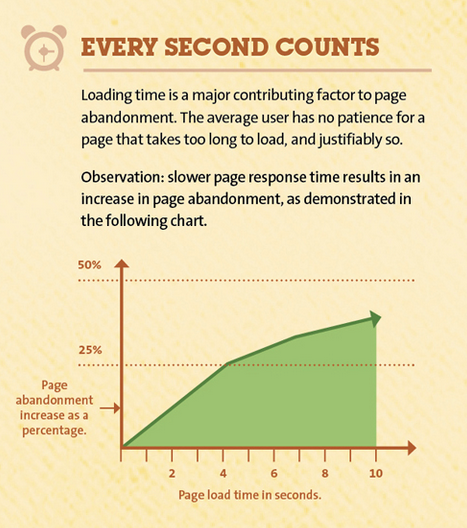 So if users and Google demand fast page loading times, your site better deliver. Site speed is important to the success of your site, but here's where things get a little tricky: You need to take site speed results with a grain of salt. These testing tools and the results they give are meant to be used and interpreted by professionals. Can you use the tools? Of course! We encourage all of our clients to learn as much as they can about maintaining a successful website. This is why we've written a guide to the most popular site speed testing tools; we want to ensure that you don't look at your report and panic. Because while results may indicate a poor showing in a certain category, this doesn't mean that your site speed is being dramatically affected by the deficiency. In fact, when clients come to us concerned about their site speed report, we most often find that "fixing" the issue will take a lot of time, money and effort, and result in a site speed improvement of mere milliseconds. And nobody—not Google, not a potential client, nobody—cares about a few milliseconds. If you are concerned that your attorney website isn't performing as it should, give us a call at 888.886.0939. We can pull site speed reports for your website and help you determine if anything needs to be done to improve the speed of your site. Also be sure to request our free report, Website Grading Tools Explained. The detailed report will help you learn more about site speed reports, as well as their benefits and drawbacks.